With over 100 insurance companies in the UK offering thousands of different insurance policies, ensuring you have the one that really meets your needs and requirements is nothing short of a lottery. You are told to 'compare', that you are 'confused', that this 'market' or that 'market' has the cheapest quotation. The truth in most cases is that your information is being collected just to be sold to the highest bidder, who then offers the cheapest possible policy whether it meets your needs or not! The hope being that they can force you to buy lots of other add-on policies and products, that prove to have little or no use, at over inflated prices. At Be Wiser, they are not going to sell your information to other insurance institutions. Neither will they pester you with endless emails nor unwanted phone calls. 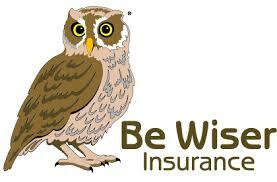 Be Wiser are simply going to offer you what they consider is the best insurance policy to meet your needs. Having over 125 years of experience in making sure clients always get the right policy at the right price. Their team has selected what is considered to be the finest insurers in the UK. knowing that they are able to help anyone who is looking to insure their car, van, bike or home. One should remember an insurance policy is a promise by an insurance company to pay if an insured misfortune occurs; a promise is only as good as the person or organisation that gives it. Being wiser after the event is something none of them can afford. They are warm, friendly and experienced. Their goal is to give the level of service hoping you will enjoy and most importantly benefit from. All of their quotations give you RAC Roadside Assistance and claim assistance at no extra cost. Details of any No Claims Bonus claimed. Please speed up your online quotation by confirming that the conditions below are correct. It may be that you cannot comply with these criteria. If this is the case please call them free on 0800 954 9570 and they will be glad to assist you.